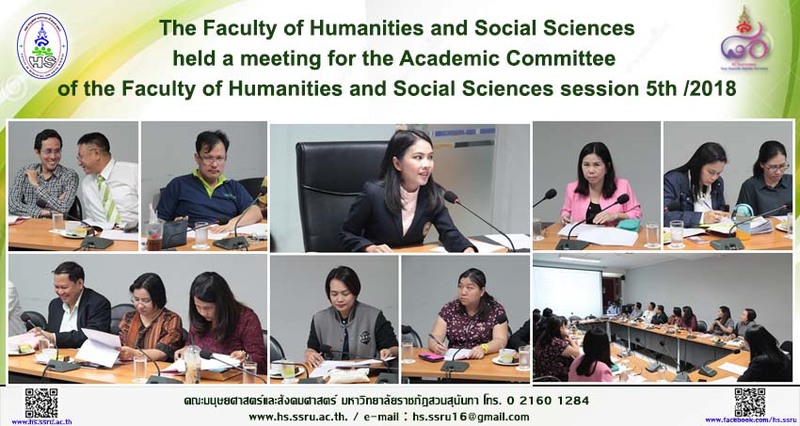 On December 20th, 2018, the Faculty of Humanities and Social Sciences held the meeting for the Academic Committee in session 5th/2018, regarding this Dr. Vilasinee Jintalikhitdee, Vice-Dean for Academic Affairs, the Faculty of Humanities and Social Sciences is the chairman. The agenda for this meeting consisted of the consideration in the grading approval for undergraduate students on regular session semester 1/2018 (all classes). The attendees at this meeting, including Head of the departments, Head of the programs, and the representatives of the programs in the Faculty of Humanities and Social Sciences at Ponsophin Conference Room, the Faculty of Humanities and Social Sciences.